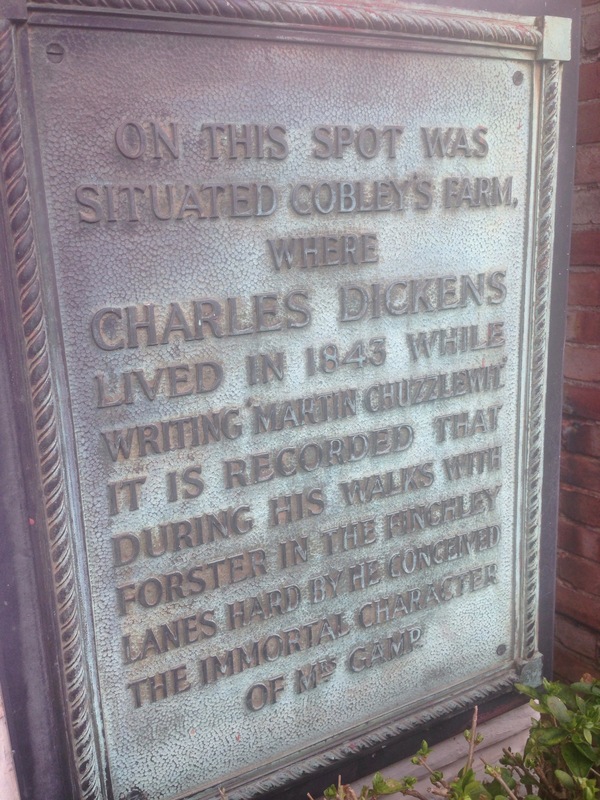 I went to London to visit the Charles Dickens Museum in Doughty Street and the Foundling Hospital Museum beside Coram’s Fields. 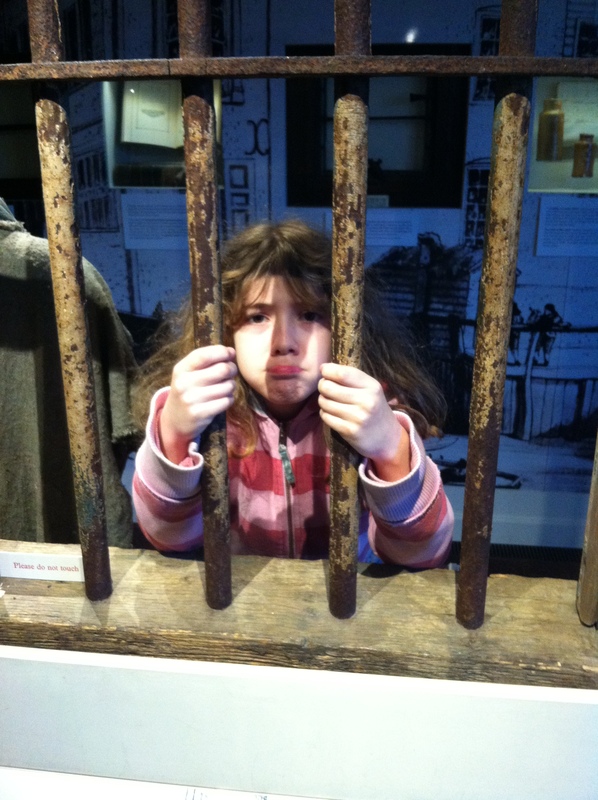 I had Great Expectations of this museum! And I wasn’t disappointed as it wasn’t a Bleak House! 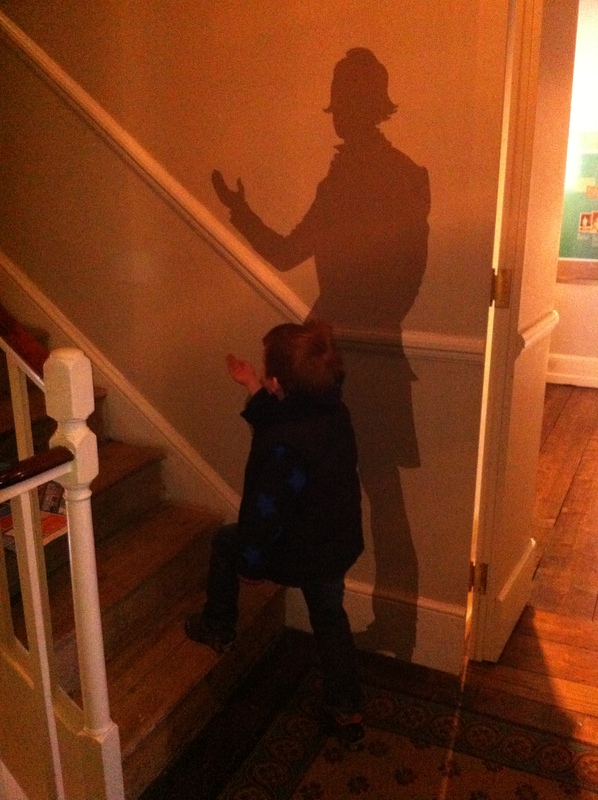 The museum is in a house that Charles Dickens owned and lived in from 1837 to 1839. 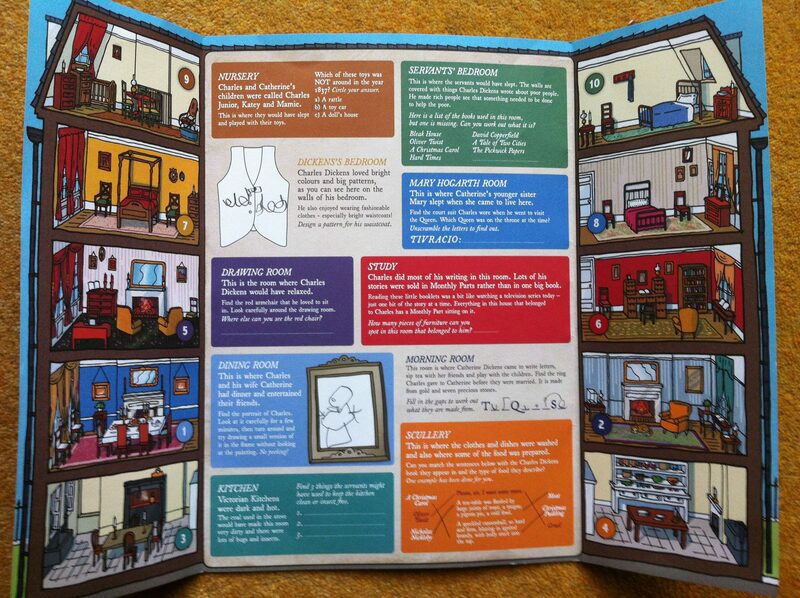 I was given a map of the house and we could go around and find all the activities. This is one of the best family trails that I have ever had. It looked just like the house and you can open it up to see all of the rooms. The museum is set up as if Charles Dickens has just gone out shopping! All the rooms show how it was in his lifetime. It was fun to have to work out which room was which from the pictures. They actually own the house next door too, so you go in that one first and that is where the gift shop is and the tea room, and then you step next door into his real house (through a gap in the wall that they knocked down). The first room was the dining room. 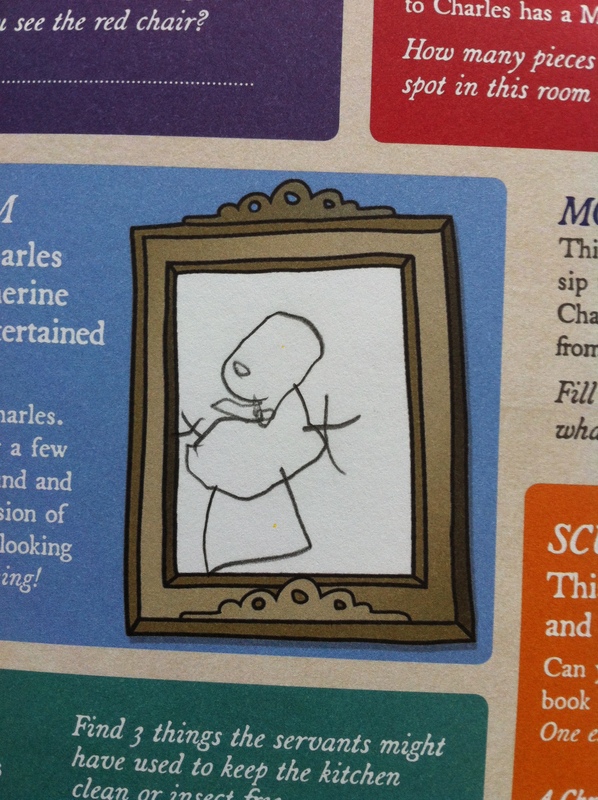 Once we found it we looked at the trail and it said to find the portrait of Charles Dickens and draw it on the sheet. Next we went into the morning room. 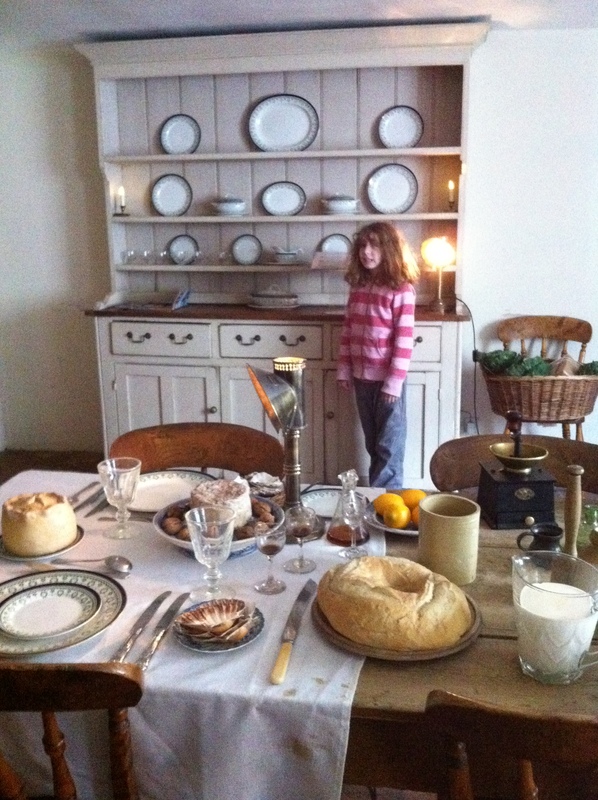 This is where Catherine Dickens came to write letters, sip tea with her friends and play with her children. We had to find the ring that Charles gave her. We went downstairs into the kitchen. We had to find 3 things that they would use to clean the kitchen with. We found a dustpan and brush, and a broom and I found a hedgehog that I thought had sneaked into the kitchen but it was actually a stuffed one that they used to wipe their shoes on! 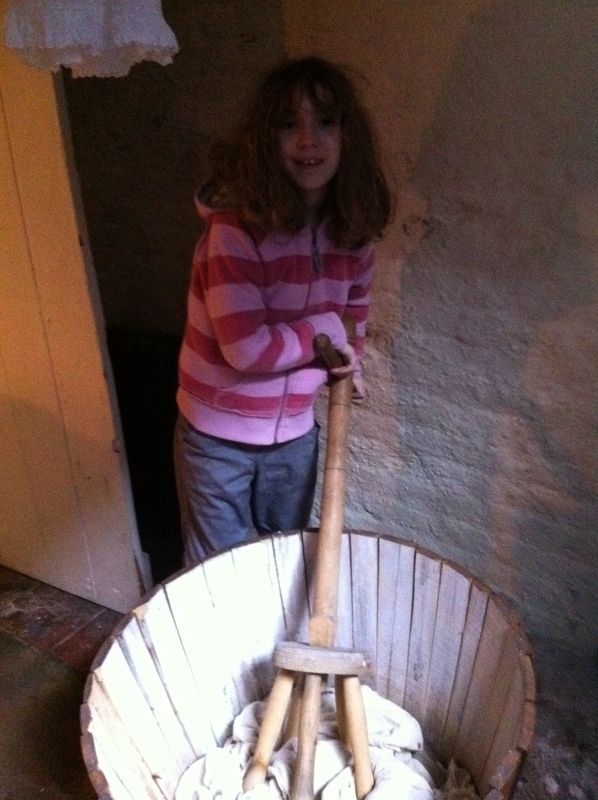 We went next door to the scullery. We had to find the objects in the room and match them to a book that Charles Dickens wrote. I helped with the washing! Then we went back up the stairs to the first floor. 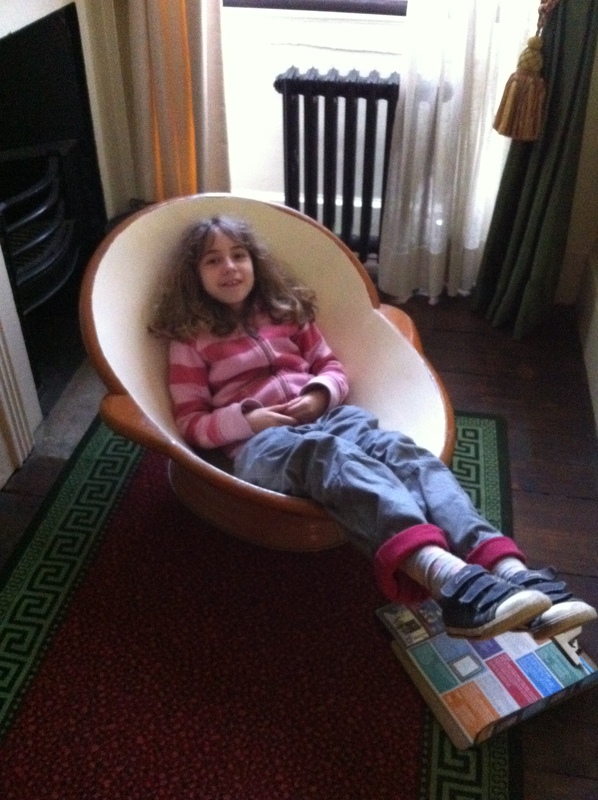 Next was the drawing room and we had to look for his red chair and then find it somewhere else in the room, and it was in a picture on the wall. 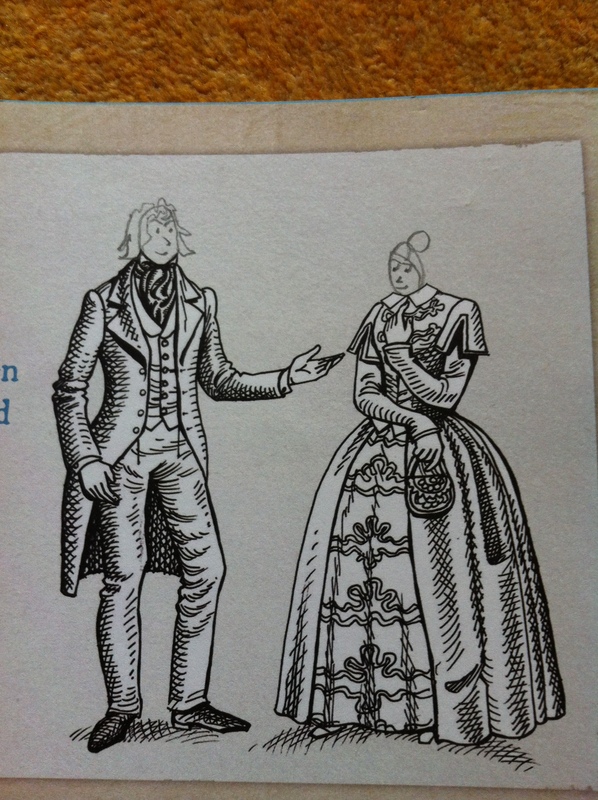 We went upstairs again to the bedrooms and designed a pattern for his waistcoat. I then had a bath in the bathroom! At the very top of the house was the nursery for the children. I tried on a dress in the nursery! and in this room was the grille from the Debtors’ Prison. Next to the nursery was the maid’s bedroom which was actually quite nice. The walls in this room were covered with things that Charles Dickens wrote about poor people. We had to work out which book they came from. Then we went down to the gift shop and bought some things. 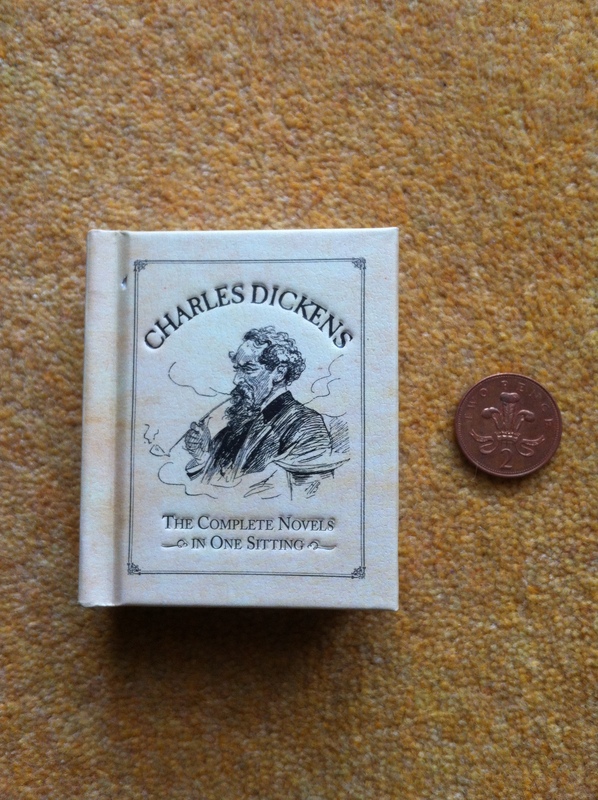 I bought a miniature book of all of his stories and my brother bought a quill pen. 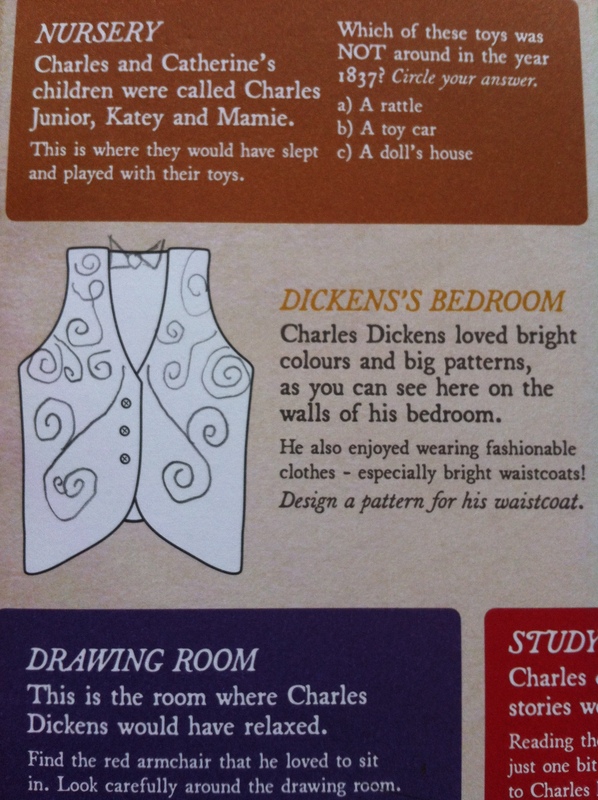 The Charles Dickens museum is fun and it really showed what it was like in the Victorian Times for rich people. I recommend that you go here. My Nana would quite like to go back! My Mummy used to take brass rubbings of it when she was a little girl but I just took a photo on her phone! 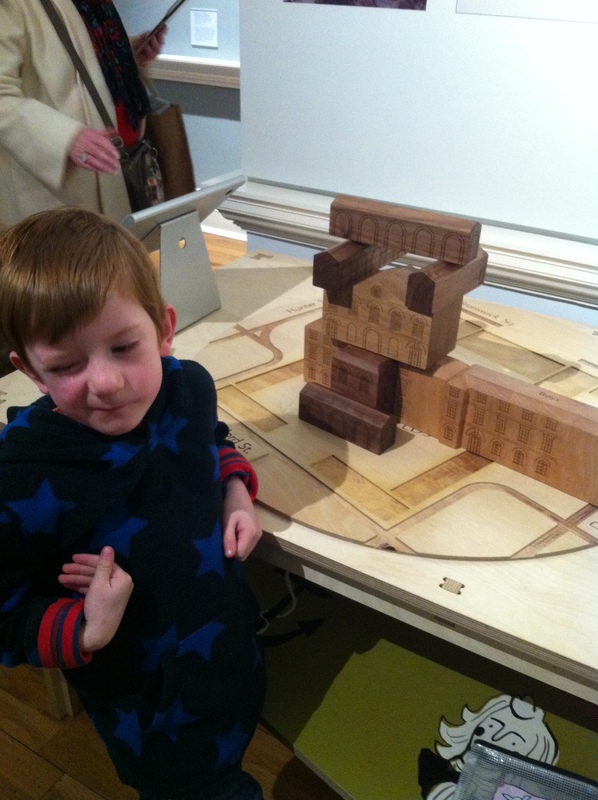 More details about the museum can be found here. After the Charles Dickens museum, we went into the playground of Coram’s Fields and played there for a while. 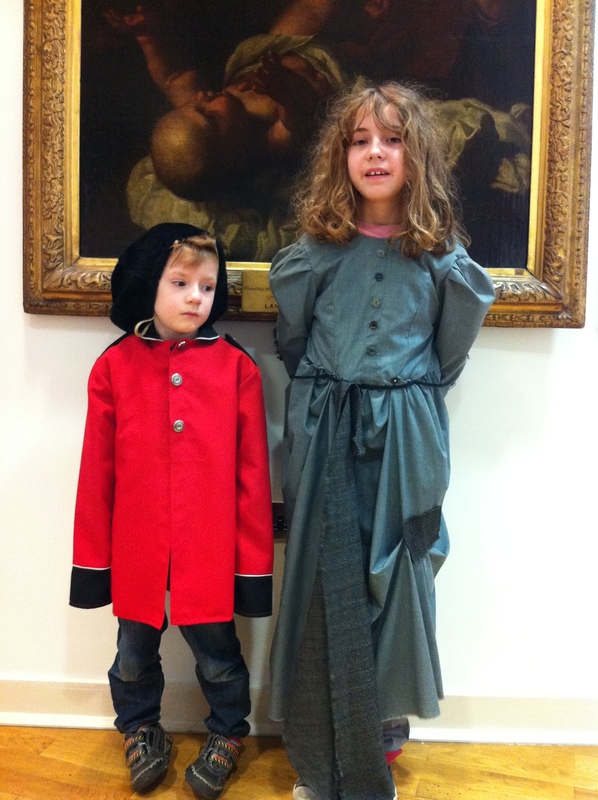 Then we went round the corner to the Foundling Museum. A Foundling is a baby or child whose mother cannot keep it and so she takes it to the hospital to have it looked after. She has to choose a ball from a bag. If the mother chooses a white ball, it means the child has been accepted into the hospital. If she chooses a black ball, the child has been rejected. If they choose a red ball then they are on the waiting list. I think choosing the red ball would be best because it means you don’t have to say goodbye to your child straight away and also you know that they will survive because eventually they will go into the Foundling Hospital and fed and looked after. 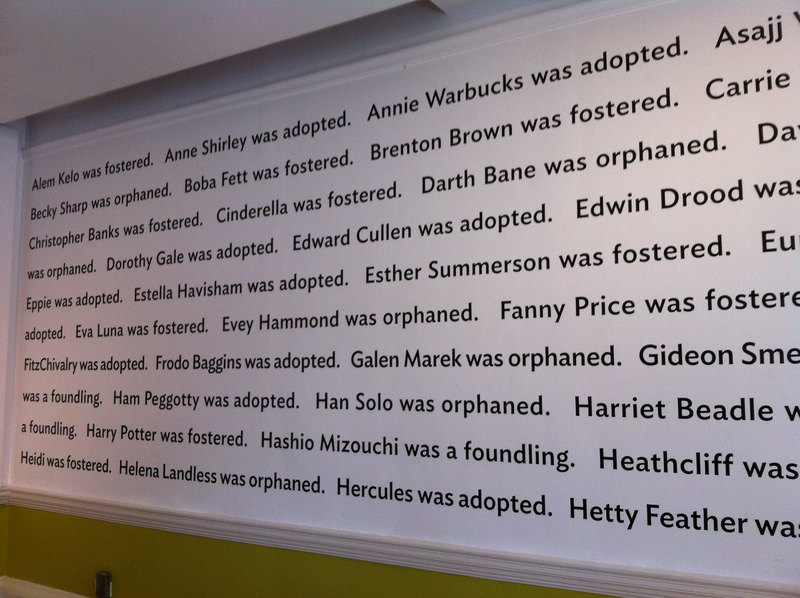 We started off by having lunch in the cafe and there were names of fictional characters who were all adopted, fostered, orphaned or a foundling. 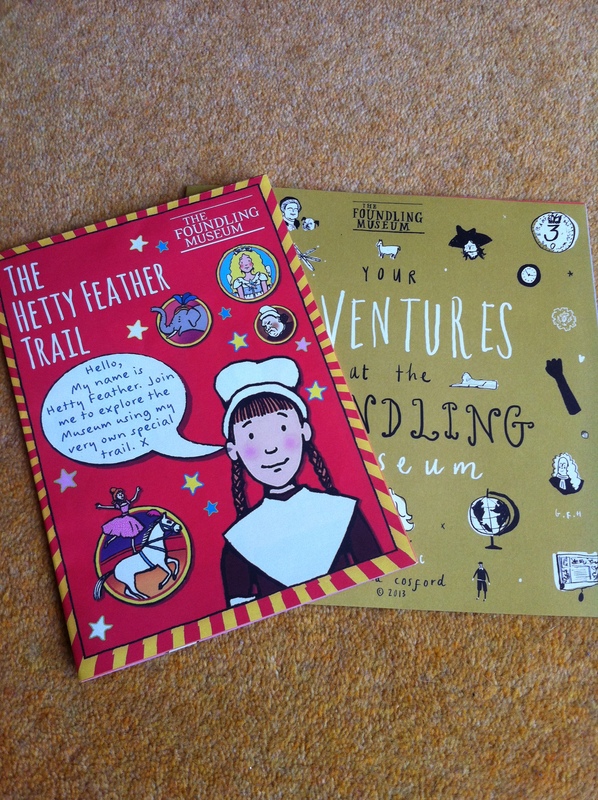 We were given trails and I had the Hetty Feather Trail and my brother had the Adventure trail. 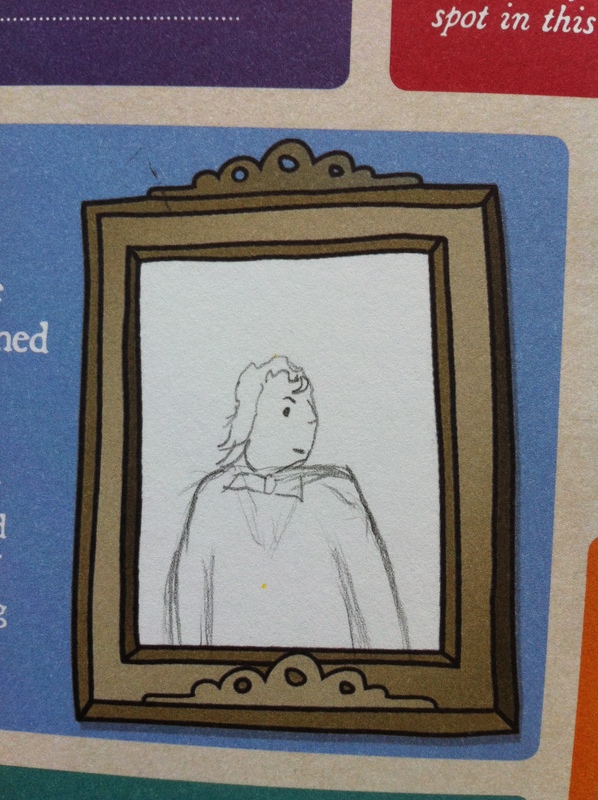 Jacqueline Wilson’s books called Hetty Feather is about a foundling at the hospital. She must have been here to do her research. My brother made a model of the hospital. We dressed up as foundlings. 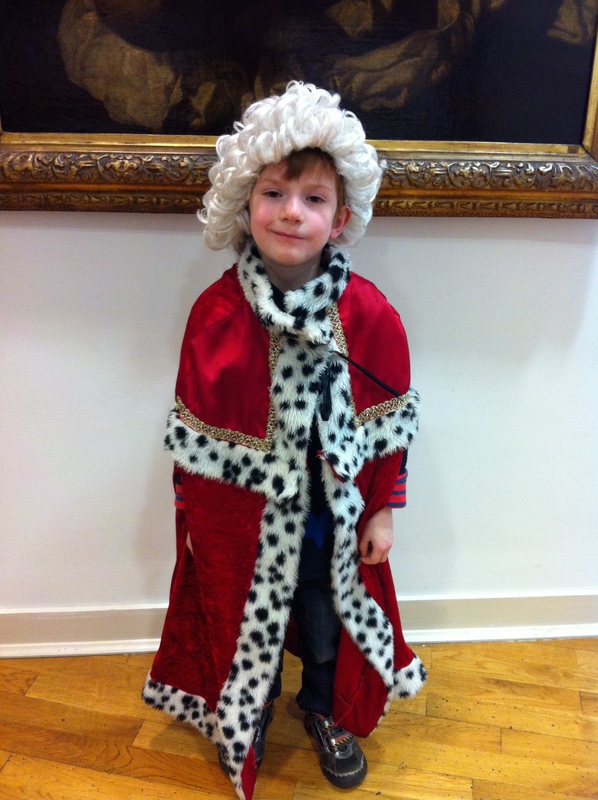 My brother spent most of the time dressed as Handel. I don’t know why. 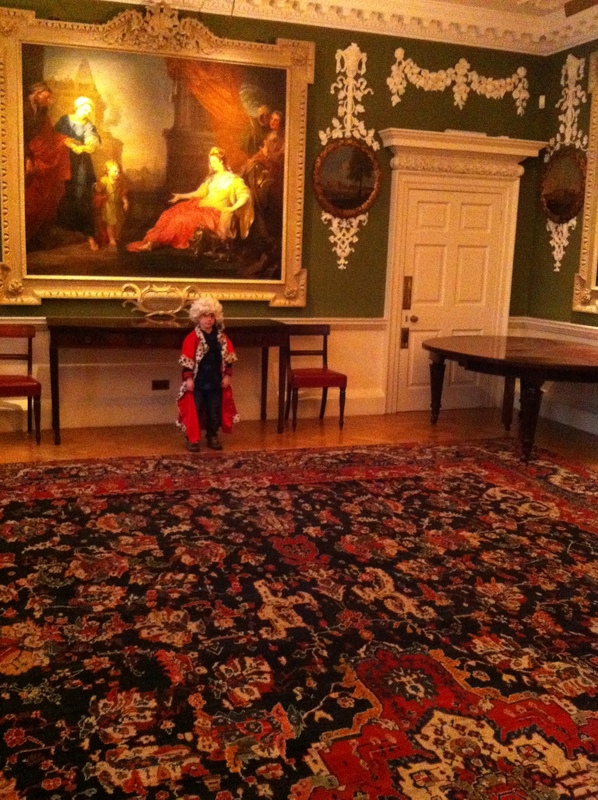 I was not so keen on the Foundling Hospital because I have a very sensitive nature. I found it very upsetting to see the tokens which were all that the children were given from their mums and the names that they were given. One token was only a walnut. 😦 This contrasted from the morning in a rich Victorian household to the very poor people giving away their children. I didn’t like it. Afterwards we were going to go to the British Library to do another trail but we were all too tired so we went to McDonald’s and then went home! 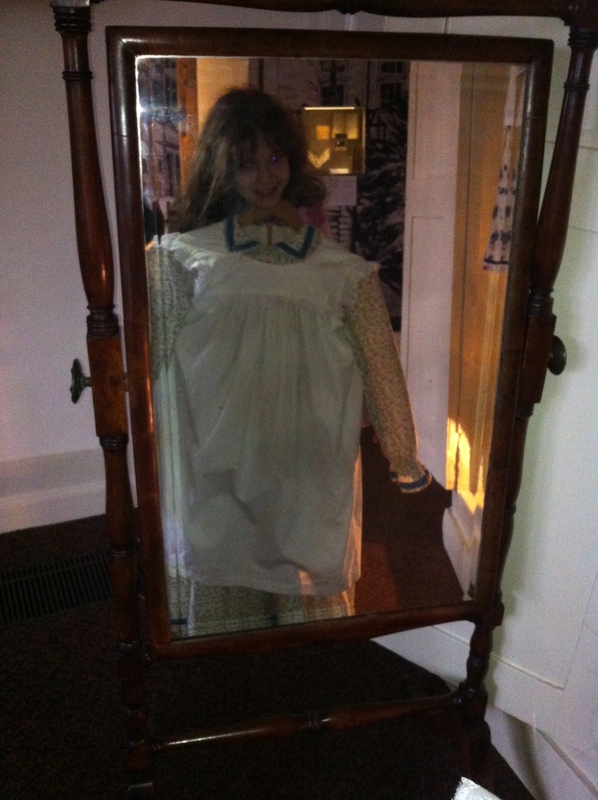 More details about the museum can be found here or if you like Hetty Feather, you can find her here. Only go to this museum if you are not too sensitive! 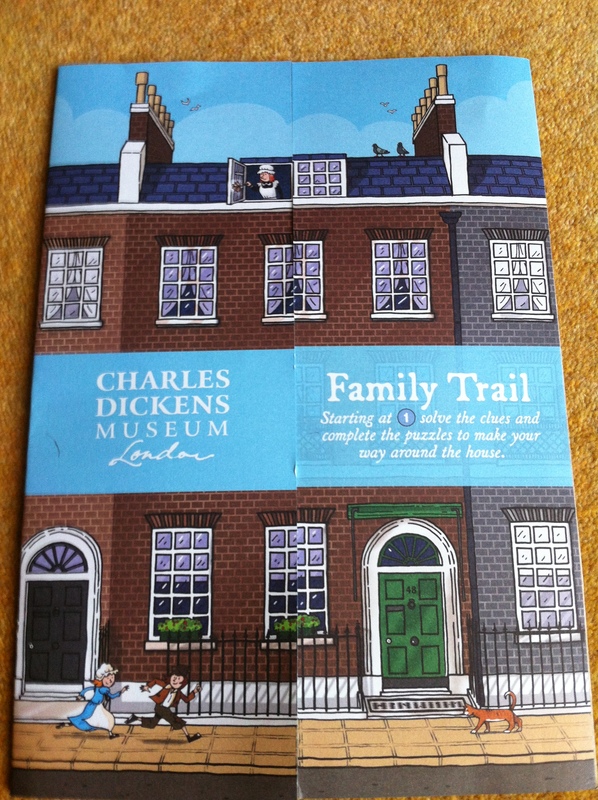 This entry was posted in Day Out and tagged 48 Doughty Street, Charles Dickens, Charles Dickens Museum, Foundling Hospital, Hetty Feather, Jacqueline Wilson, Victorian. Bookmark the permalink. 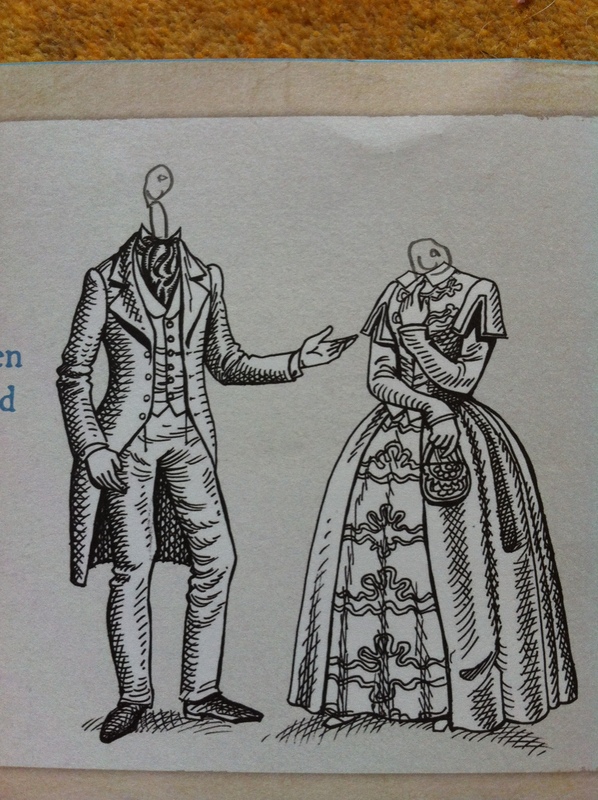 Another wonderfully interesting Blog that I always enjoy, keep them coming.